Do you understand the digital world quite well, but can’t seem to structure all of the information you’ve been tasked to present? How to Make Sense of Any Mess, by Abby Covert will teach you how. Learn some tricks of the trade from a professional information architect in this short talk. 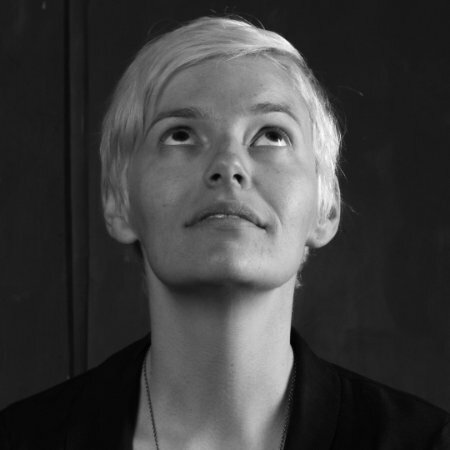 Abby Covert is the inventor of World Information Architecture Day and has created user-centric websites for a wide range of businesses, including Nike, Draft FCB, and the International House of Pancakes. As the President of the Information Architecture Institute, her work has resulted in significant increases in sales for her clients. Businesses today understand the importance of digital. They are pouring more money and time into their digital presence ever before, including websites, apps, podcasts, YouTube videos, blog posts, and more. They understand that the modern consumer spends many of their waking hours online and that a robust digital presence is essential to connecting with them. However, these same businesses are not spending the necessary time on structuring that information. That means it’s difficult to find, and difficult to use, later on. Plus, if they need to then merge that content across different structures, it can be difficult to do. That’s where an Information Architect comes in. An Information Architect combines disparate information and makes it easy for people to find everything that they need on a website. How to Make Sense of Any Mess introduces students to a number of different methods for approaching the challenges that a huge quantity of content and data presents. Students will learn about tools that will improve information architecture so that they can create websites and intranets that are easy to understand. This class will help students learn how to illustrate both problems and solutions within information architecture. Wireframes and sitemaps are useful, but they can only help in limited situations. Therefore, students also learn about many other diagramming options that help them design a site. Students will also learn how to test and iterate on their taxonomic choices so that they can continuously improve their design until they create something that is simple and usable for everyone that needs to understand it. A design is only as good as its usability, and testing is a big part of understanding that. This talk helps students make sense of complicated subjects and challenging situations with new tools and processes that they may not have thought of using before. They’ll learn how to communicate with their users with a controlled vocabulary. Most non-experts aren’t familiar with the vocabulary of information architecture so designers will need to teach them the correct vocabulary so that everyone uses language consistently. When a designer finds himself on a new project, they are often overwhelmed. Most sites have grown haphazardly, with no thought to sustainability or future growth. Because of that, most sites are a mess. Clients might think there is just a bit of tidying up to do when it actually needs an entirely new information architecture created from scratch. That can feel overwhelming, which is where this course comes in. How to Make Sense of Any Mess is for anyone who feels overwhelmed by the task of tackling a legacy system with no underlying structure. After listening to this 71-minute talk, students will feel confident attacking even the messiest of information systems. Abby Covert delivers a quick and easy solution to understanding the basics of UX design. As the president of the Information Architecture Institute, Abby brings a wealth of knowledge and a passion for information architecture that can truly be felt in her quick, yet useful talks. Set aside some time to listen to her talks – you’ll be glad you did.